1) How soon can I have Another Treatment done in the Same Area? Most patients choose to retreat the same area 4-6 weeks following initial treatment. Treatments spaced 4-6 weeks apart often show a more noticeable cumulation of results (individual results may vary), although it is possible to wait longer if desired. 2) How Soon after Pregnancy can I have Coolsculpting? The time needed for a CoolSculpting treatment after giving birth varies between patients. After having children it is ideal to wait until your weight becomes stable before a CoolSculpting treatment. This is because CoolSculpting is intended to reduce pockets of fat in ‘problem areas’. Therefore it depends on how soon your baby weight comes off, and how mentally ready and motivated you are to have the treatment done. 3) What Preparation is Required for CoolSculpting? 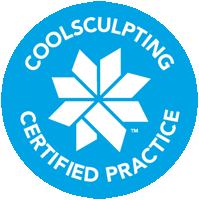 There is no special preparation required for CoolSculpting. We advise treatment areas be free from acute sunburn and free from moisturizers, or anything that could potentially irritate the skin during treatment. Unlike invasive surgical procedures, you do not need to stop any medications or blood thinners before treatment. There are no restrictions on exercise after CoolSculpting. Some people say exercising after CoolSculpting aggravates pain, while others say exercise helps. These patients say stretching, walking, aerobics and light yoga makes them feel better. So it’s really down to the individual. And you’ll probably know right away. 5) How many Hours does a CoolSculpting Treatment take? A CoolSculpting treatment can last anywhere from one to several hours. Treatment time depends on how many cycles needed, and how many areas you want to treat. During your complimentary consultation we will inform you how long you need for your CoolSculpting procedure, and book your treatment time accordingly. CoolSculpting is a non-invasive and gentle procedure. Most patients do not experience any pain during the procedure. Any discomfort is usually very minimal. Occasionally patients experience pain after CoolSculpting, although this is not common and CoolSculpting side effects are temporary. 7) What is a CoolSculpting ‘Treatment Area’? 8) What is a CoolSculpting ‘Cycle’? For some treatment areas the CoolSculpting device has to be moved to cover both sides of the treatment area, for example the left and right sides of the flanks. Each time the CoolSculpting device is moved to another site within the same treatment area, it is considered a ‘cycle’. 9) Why Can’t I find a Denver Groupon for CoolSculpting? CoolSculpting is not available on Denver Groupon or Living Social. This is because CoolSculpting is a premium medical procedure. Just like medical surgical procedures for example, CoolSculpting should not be offered on discounted or deal sites. Be wary of any websites offering internet coupons, or practices offering heavily discounted rates for CoolSculpting.